Talk about one important podcast! This one is for everyone! If you want a big key to longevity in your calling, this is it! If you want Cindy’s biggest regret, this is also it! Self-care is vital! It is an area that we simply must have a plan to be intentional daily or we will move into self-sabotage, self-sacrifice, self-punishment, and even self-destruction. If we are not intentional, things will get away from us. There are times that we need to pull back and do the things that take good care of ourselves and keep us prepared for our calling and everything that it demands of us. In this podcast, Cindy shares 10 areas that she includes in her own strategy for self-care: quiet times, taking care of herself, braindumping, girl-time, little things to love on herself, margin, set time to cut off the day, research ways to take care of herself, fun, and learning every day. We suspect that as you join Cindy today, you will come away refreshed, refilled, and with some strategies that will help you to step up to your calling. Are you following Iron-Sharpening-Iron Podcast? Connect with us today! Follow us here on our website. Connect with Cindy on social media—she is on Facebook, Twitter, Instagram, and Pinterest. And, don’t miss her website at http://www.CindyRushton.com. There are articles, ideas, audios, and so much more. Check her out today! 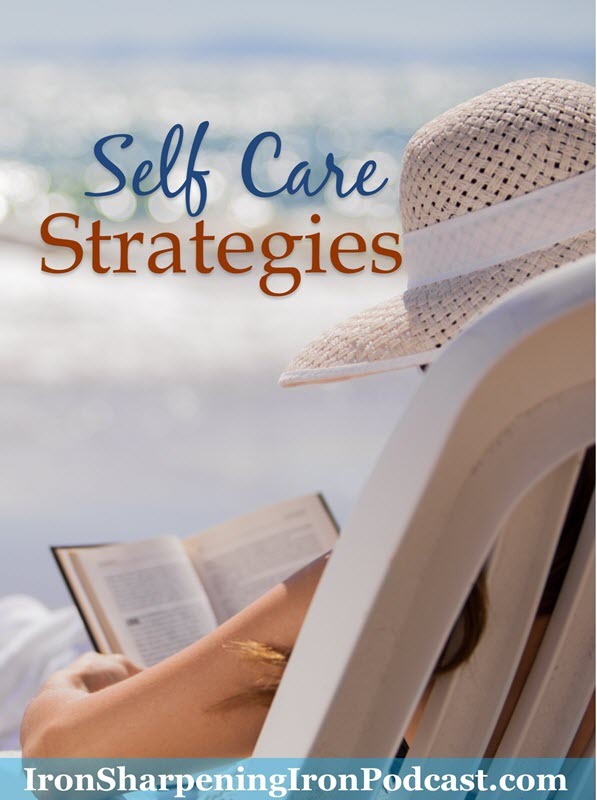 The post Self Care Strategies appeared first on Ultimate Christian Podcast Radio Network.